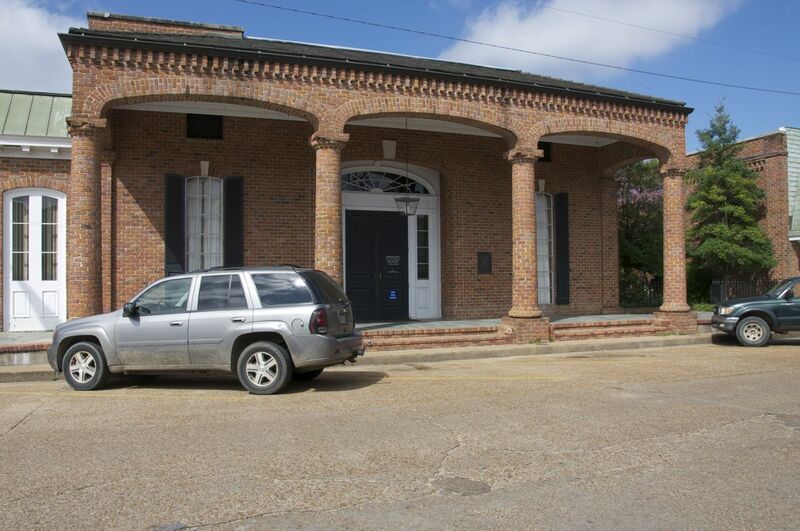 The Citizens Bank and Trust, in Marks, Mississippi, was established in 1917. The brief history on the website indicates only that the community bank has been in the same location on Main Street since established, but not if this is the same building. What intrigued me about this building is the brick columns. I do not recall ever having seen a building with rounded columns in the doric or ionic style. In fact, as usual, I spent way too much time trying to find out about brick columns. 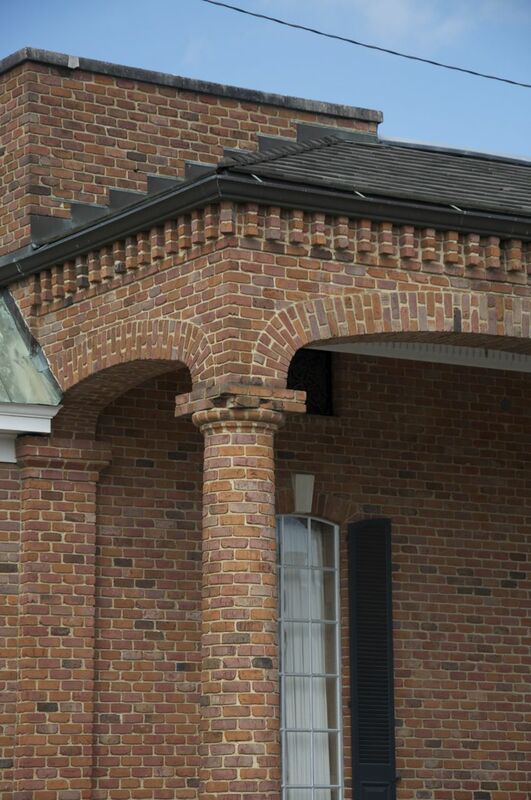 The Newberry South Carolina courthouse, erected in 1908, has ionic brick columns. Sometimes I wonder if I am the only person out here not a historian who spends so much time trying to ferret out obscure details about buildings. Even when I use scholarly information (from the university library or Mississippi Department of Archives, for example) what is available digitally is often just not what I am seeking. Maybe because the bank on Main Street in Marks just hasn’t generated much history press, or maybe I just don’t know how to find it, or information on other buildings in small towns like Marks. I suppose if I were a historian and this was my career, I would trek down to Jackson and dig into the archives and see what I could turn up, or go over to Mississippi State and check the Sanborn collection. Frankly, while I would if I had the luxury of the time, I will have to be content with the current system of trial and error. Sometimes, I luck out and find great information, and others, it frustratingly eludes me. If anyone knows, please share the information! This entry was posted in Bank buildings, Mississippi Delta Towns and tagged brick doric columns, Citizens Bank and Trust, Marks, Mississippi Delta towns. Bookmark the permalink. I will forward this to a friend to see if she knows more as she has family from Marks. This looks to me like a 1970s “Colonial Revival” re-modelling rather than a 1917 front. 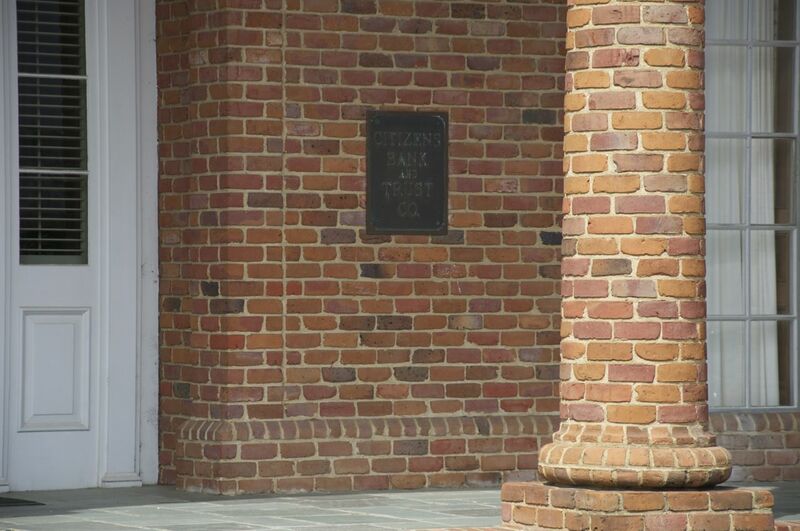 You nailed the brick columns as an oddity that is very rare back in the “real” Colonial era. One thing I learned to do from a more experienced colleague back when I first started puzzling over buildings, was to walk around to the back of the commercial blocks and look at the rear ends of the buildings. These were almost never updated, so you can get a better sense of how old the building really is. Usually any historic brick columns built were ment to be stuccoed. The best local example where this can be seen are the Windsor ruins. Now there is another piece of information to add to my repertoire. I did not realize I was so close to Windsor when I was in Natchez this past week. Thanks for the tip! I will try that on my next mystery building. I’m from Marks and well remember this complete remodeling of the bank, including the installation of that brick exterior. Can’t remember if it was in the late 1960s or 1970s. Thanks, Charles. I have been learning a lot since this post and when I first started my hobby of architecture! I am so amazed now that I can identify styles, periods, and recognize buildings and their era, and on occasion, the architect!